The practice education year is comprised of three courses, FNH 481, 482 and 483, scheduled from September to late June. This is a fast-paced year consisting of 39 weeks of full time (8 hours per day, 5 days per week) placements in varied dietetics practice settings. 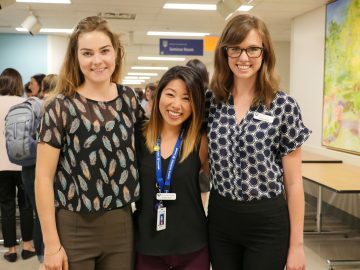 We are fortunate to have dozens of partner organizations and 300+ preceptors across the province collaborating with the Dietetics Program to support students to meet entry-to-practice competencies for entry into the dietetics profession. The Practice Education Overview document provides information about how year 5 students spend their 39 practice education weeks.